Using various Regenerative Design techniques, a heavily eroded, badly abused and decaying beach has been ecologically recovered and successfully transformed into an aethestically pleasing and well visited place, demonstrating landscape architects can professionally facilitate the initiatives of rebuilding a harmonious relationship between man and nature through ecological design. 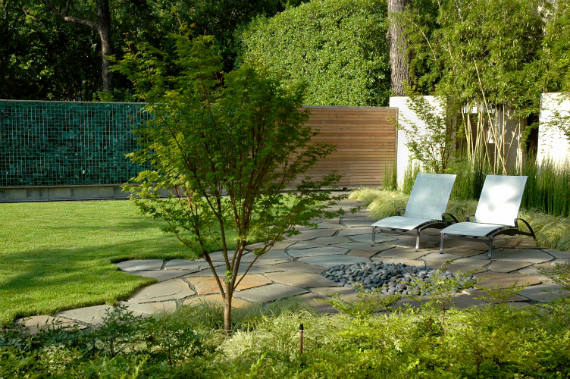 Studio: Ten Eyck Landscape Architects, Inc. 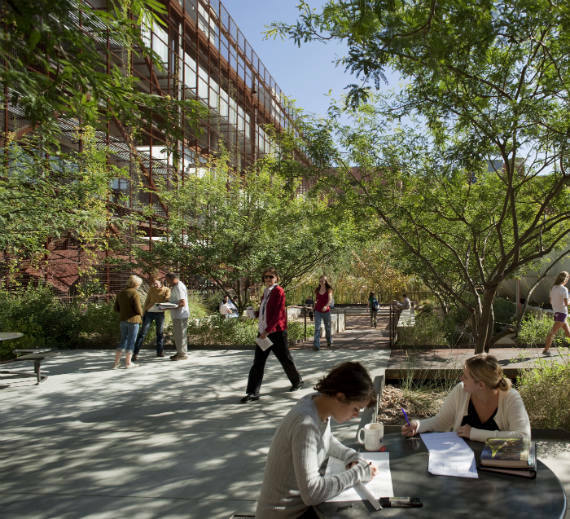 The Sonoran Landscape Laboratory is a high performance landscape functioning as both an outdoor classroom and entry plaza. It exemplifies sustainable strategies of water harvesting, climate regulation, air and water cleansing, recycling, urban wildlife habitat and human well being. The former greyfield is now a thriving habitat that shades the southern exposure of the new building with a vine covered scrim. An 11,600-gallon tank collects water produced by the building to support the native garden. 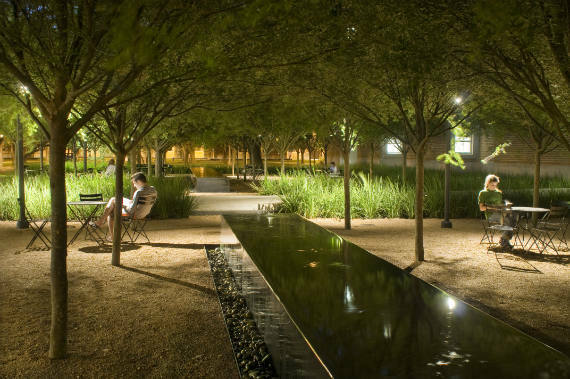 Conceived as a landmark destination for Rice University's campus, the Brochstein Pavilion demonstrates the ability of landscape architecture to foster social interaction and improve the human condition. A study in restraint and the purity of form, the Brochstein Pavilion creates a powerful spatial framework that has transformed an unstructured, underutilized quadrangle into the center of student activity on campus. This neighborhood electrical substation was built in 1923 by Dallas Power and Light Company in a mixed residential and commercial area of town. This urban garden has sprung to life with in the walls of a former industrial compound. 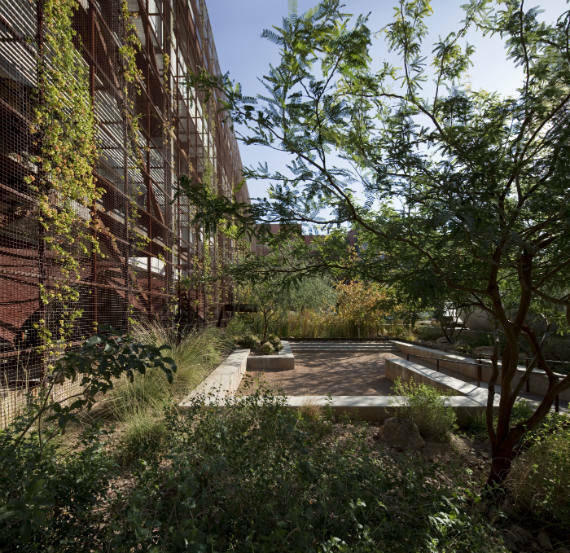 The garden fills spaces that directly relate back to its original industrial predecessor. The Pool House serves as an urban retreat for an artist and car enthusiast who live next door. The project was an intense collaboration of architect, client, and landscape architect. The central spine of the site is a 6' ht. glass slag privacy wall. Seamless transitions between the inside and out were extremely important. A minimal plant palette creates mass plantings used for large textural impact and screening for privacy. Of course there are several other winning works viewable from the ASLA site. Enjoy, and would like to hear any discussion of criticism on the selected works.